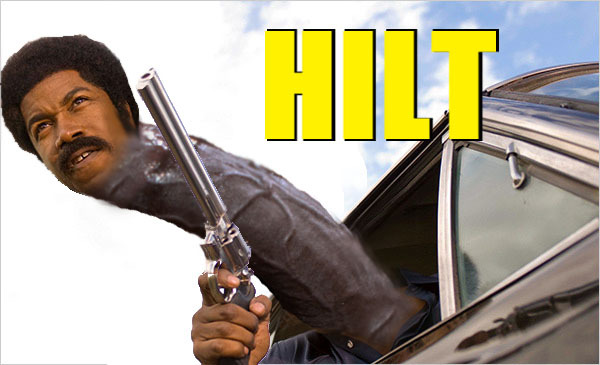 Popular Irony: HILT... can you dig it? That can get you off with just one hand? That will leave you satisfied fo sho? That drags on the ground between his feet! That can keep your appetite in check? HILT... You know I'm talkin' bout Hilt!